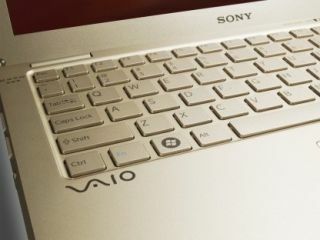 Slim, sleek and light is the best way to describe Sony's new Vaio X Series notebook. Weighing in at just 655g, the launch of the laptop brings with it the boast of being the world's lightest (when it comes to those with screens 10-inches or lower). The X Series houses an 11.1-inch screen, which is LED backlit, offers up multi-touch trackpad, and has something called Everwair WWAN, which enables you to log onto the internet even when there's no Wi-Fi available. While we would like to think you can do this because of magic, the system merely has 3G HSPA mobile broadband capabilities. Battery life is a very reasonable eight hours and this can be extended through the wonders of an optional extended X battery accessory. Also on board is a Motioneye camera, 2GB DDR2 SDRAM memory, a 128GB SSD Flash drive (upgradeable to 250GB through the SonyStyle Store) and Bluetooth connectivety. When it comes to the look of the laptop, it's all about being stylish here. The chassis is both tough and light, cased in carbon fibre. There's also a smattering of aluminium on-board. As for colour, you have the choice of gold, black or premium carbon. The release date of the Sony Vaio X Series is November, it will come packing Windows 7 and the laptop will cost around £800. If you want to learn how the Z series works, then just check out TechRadar's hands-on with the product at this year's IFA show in Berlin. For more information, visit shop-sonystlye-europe.com.